We have earlier released a guide on How to use your Apple iPhone a as wireless Modem. Users can get the 3G experience when they club iphone with their pc or laptop. But things changed with the release of the 3.12 firmware for iphone. The guides around the net no longer can enable the tethering on iphone with 3.12 jailbreak firmware. There is a way to use iphone as modem. MyWi a small application can help you make iphone work as modem for your pc / laptop. MyWi works for iPhone (2G,3G,3GS) and can enable tethering in iphone in a snap. – Enable iPhone USB/Bluetooth tethering – even on firmware 3.1! 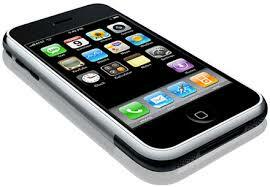 Before proceeding with, you need to Jailbreak iPhone 3G/3GS 3.12 Firmware if you havent done that. Search for MyWi in Cydia application in your iPhone and install it. An application called RockApp will be installed automatically along with MyWi application. If it doesnt get installed automatically install it manually. Open up the RockApp and get you a free Rock ID. After Signing in with your RockApp id you will see a update to MyWi application. After installing the update restart your iPhone to complete the process successfully.